Enric Banda obtained his PhD in Physical Sciences from the University of Barcelona and has a postdoctoral degree from the ETH in Zurich. He was full professor at the Spanish National Research Council (CSIC) and director of the Institute of Earth Sciences in Barcelona. In 1995 he was Secretary of State for Universities and Research. 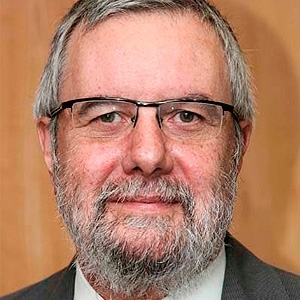 During the period 1998-2003, he was Secretary General of the European Science Foundation and from 2004 to 2007, Director of the Catalan Research and Innovation Foundation (FCRI) and the Catalan Institution for Research and Advanced Studies (ICREA). From 2009 to 2015, Director of the Area of ​​Science, Research and Environment at the "la Caixa" Banking Foundation. He is the author of over 160 scientific publications, member of the Europaea Academy and an associate member of the Royal Astronomical Society.